There’s a popular misconception about keyword research: that the process ends when we’ve found the ideal balance between search volume and keyword difficulty. Newsflash: no, it doesn’t end there. 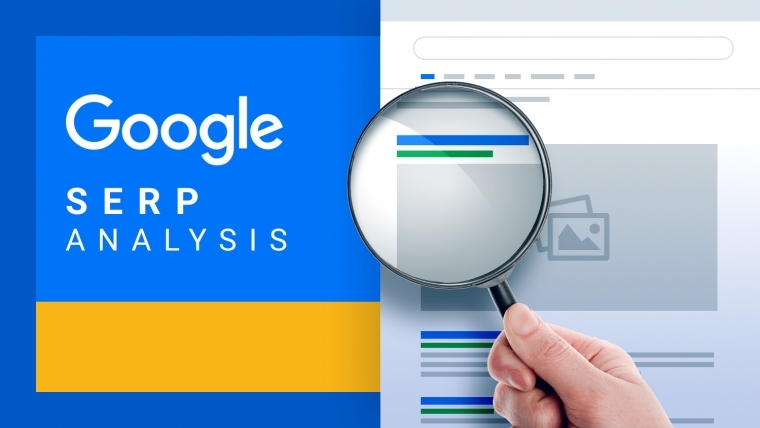 There’s this thing called SERP analysis, which is an inseparable part of your keyword research, and if done correctly, can be a true game-changer. In short, SERP analysis means to check the results you get after you search for relevant keywords and decide if you’re going to optimize for these keywords based on your chances of beating the competition. 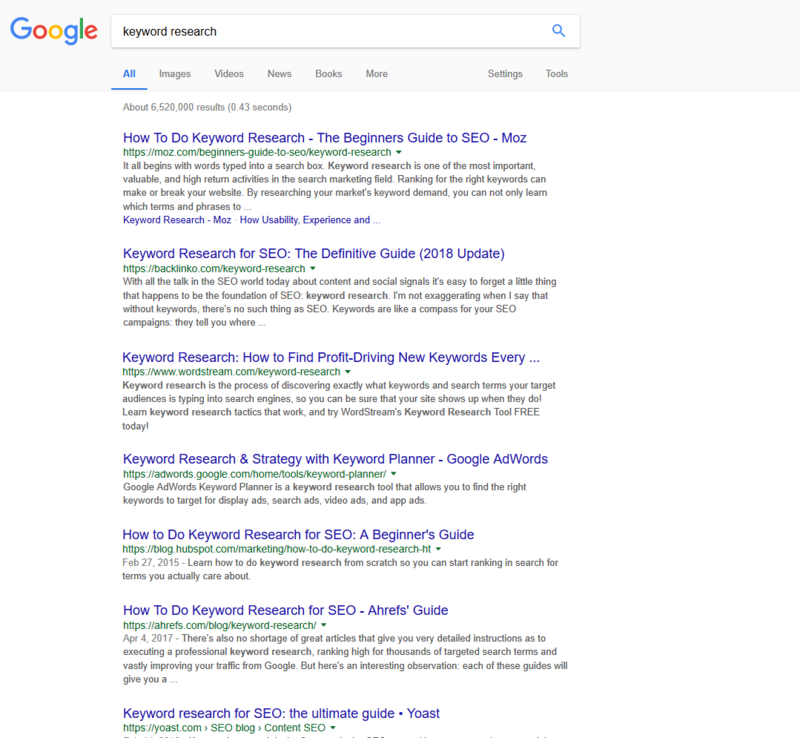 I’m not over-exaggerating when I say that it actually doesn’t matter if you’re 100% sure that you’ve found a great keyword with a reasonable search volume and level of competition. If you skip the search results analysis, it can still be a huge miss that causes you to lose money or time, or both. Wow, I found the right keywords for my website, they are not too hard to rank for and their aggregated search volume should bring me a lot of relevant traffic! But wait, look at the SERP. The results are different from what I would want to rank in. Oh, it looks like the search intention behind them isn’t what my customers would expect. Here’s a simplified example that does not take the metrics into account. Let’s say you’re optimizing a product landing page for a keyword research tool. Instinctively you may consider “keyword research” to be one of the keywords you’re going for. All results lead to blogs and guides on keyword research. The obvious intention behind this search query is to find free information, and not to buy a product. If you want to rank for the correct user intention, you’re going to need a different search term. In this case, your best move is to include the word “tool” in your phrase. The same applies the other way round. Skipping SERP analysis is a common mistake when doing local SEO keyword research too. 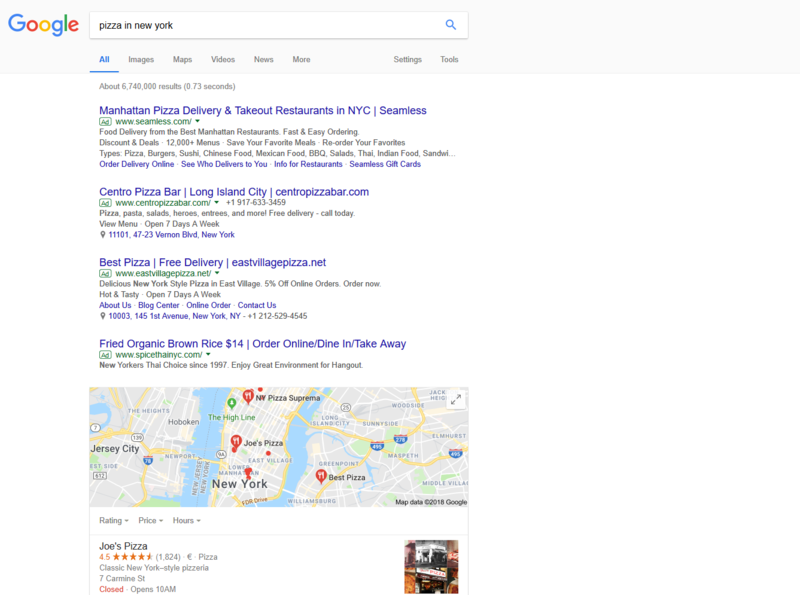 A food blogger reviewing New York pizza restaurants won’t find it useful to rank their article for online pizza delivery services for the same reason as in the first example – the intention mismatch. SERP analysis basically shows you what users mean when they search for something and it eliminates the need to blind-guess the search queries. Taking a simple look at the search results for a particular keyword is enough to understand whether it’s relevant or not. Let’s focus on your competition now. What you’re aiming at is to rank on the 1st SERP or at least at the top of the 2nd SERP. The CTR study chart below shows the average CTR on the 1st and 2nd SERPs. The stats for the top positions on the 2nd SERP are a bit higher compared to those of the last positions from the 1st page. Turns out it’s not such a bad idea to appear on the second page of Google after all (as long as you nail the top spot). However, your #1 priority is to have as many engaged organic users as possible by ranking high for similar middle and long-tail keywords in multiple SERPs. This is what we’ll try to discover now about your competition. To analyze properly, you’ll need a lot more data than what shows in the search results, that’s why free tools come in handy. Back in the days there weren’t too many keyword research tools that included SERP analysis. One of the pioneers was KWFinder, and it’s their tool that I used to research “best pizza in new york”. Check what all of these metrics mean here. Wanna test it? Go for it! Now, let’s talk about Moz. As you see, a bunch of the metrics above refer to them. These guys produce a range of wildly popular SEO tools and their metrics are still among the most used by SEO managers who want to calculate the authority of websites. As we all know, the URL link profile remains one of the top three ranking factors. By having all this data you’ve got a chance to outrank high-authoritative sites which have strong backlinks even if you don’t have any backlinks. All you need to do is produce super relevant and well optimized content. Be useful, offer value and Google will pick you up! That’s the magic of the Google algorithm. If you don’t work with Moz, you can still check their metrics directly in Google SERP for free with the MozBar extension available for Chrome. In a nutshell, the strongest benefits of running a SERP competitor analysis are evaluating your chances of dominating the organic search, and what’s even more important, understanding the search intent behind a keyword, which will give you additional reasons to optimize for it. Having said this, it’s time to move on to the real action. It’s all done directly in Google Search and you get to see the results in the same way as any other user. What you’ll do differently than the average searching user, however, is to employ various SEO extensions to get an overview of the most important metrics around your competition – their DA, PA or the number of external links. Keep in mind that since Google has updated their local results, you won’t be able to inspect the SERP for specific locations unless you use specialized tools or know a couple of hacks. You can use Nightwatch Search Simulator for instance. It’s a free Chrome extension that helps you simulate search engine queries on Google and compare the rankings of your website to these of your competitors. In order to analyze location-specific SERPs, we have to use either keyword research tools with SERP analysis for selected locations or tools designed to generate accurate search results for these locations. The few I mentioned earlier – KWFinder (Discount Coupon) or SEMrush (SEMrush Free Trial) can do this and I noticed that Long Tail Pro has incorporated this feature too. In my opinion, the biggest added value of these tools is that you can do everything in one place. Not need to manually inspect the Google Search or use another tool and stretch your attention. More and more keyword tools include this single dashboard organisation, so thumbs up for their developers. They must have realized how important it is to do the SERP competitor analysis in the process of keyword research, so we’ll surely see even more improvements in the future. I hope that this piece gave you new ideas on how to improve your keyword research. If there’s one thing that’s absolutely fundamental to take from this article, it’s to remember that SERP analysis isn’t only about your competition – it’s a crucial step of your own keyword research process.